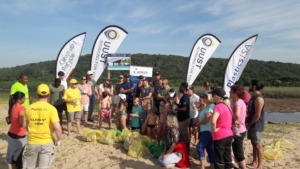 Plastics|SA recently joined forces with environmentalists north of Durban, to fight ocean pollution by installing a litter boom at the Umhlanga lagoon. 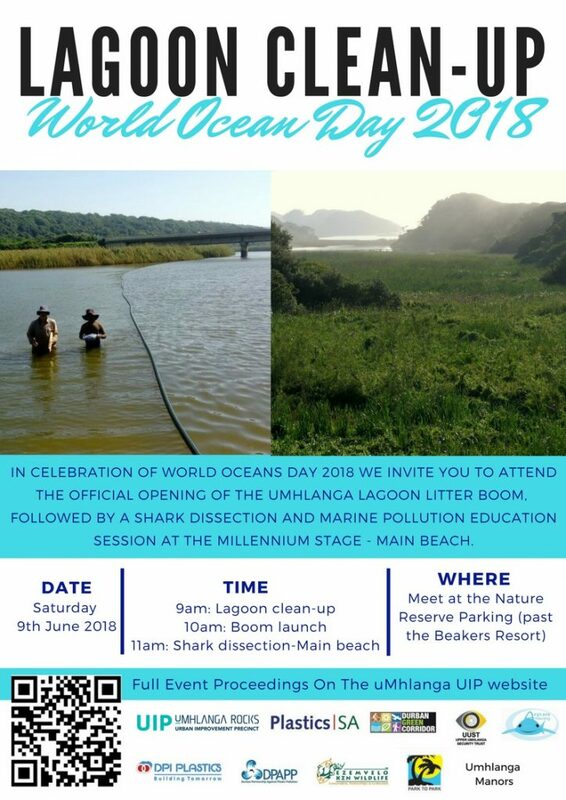 The boom was designed to trap litter and prevent it from entering the ocean and was launched in celebration of World Oceans Day on Friday. This initiative was driven by the Umhlanga Urban Improvement Precinct, Plastics|SA, DPAPP, Durban Green Corridor, Umhlanga UIP, Upper Umhlanga Security Trust, KZN Recycling Forum, USE–IT, Tetrapak and DPI Plastics who sponsored the pipe needed to make the boom. 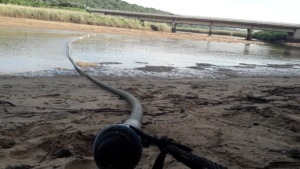 “Our aim is to reduce the amount of litter that washes into the sea from the Ohlanga river. The litter boom floats on the surface of the water and acts as a trap that prevents all the floating litter from washing down into the estuary and into the sea. It then allows for that litter to be collected at one point,” Steyn explains, adding that the device does not pose a risk to any species found in the lagoon. The local plastics industry is serious about taking action and working with all role players to beat plastics pollution. Plastics is a miracle material that is able to help save lives with its use in medical products and leads to safer food storage. For this reason, our message is clear: Plastic isn’t the problem. It’s what we do with it. Special environmental days help us to focus the spotlight on the importance of individuals, governments, the public and the private sector partnering with one another in finding solutions that will reduce the heavy burden of plastic pollution on our natural places, our wildlife and our own health.